The question mark in the title is because this is actually my first test post using CoSchedule. 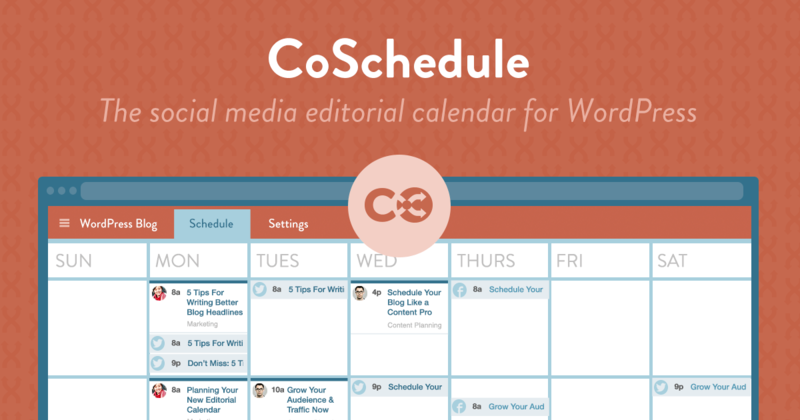 It brands itself as the perfect way to manage your social media scheduling with WordPress as your base. The concept is that you have a calendar where you can visualise your scheduled blog posts and all social media posts linking back to your blog. 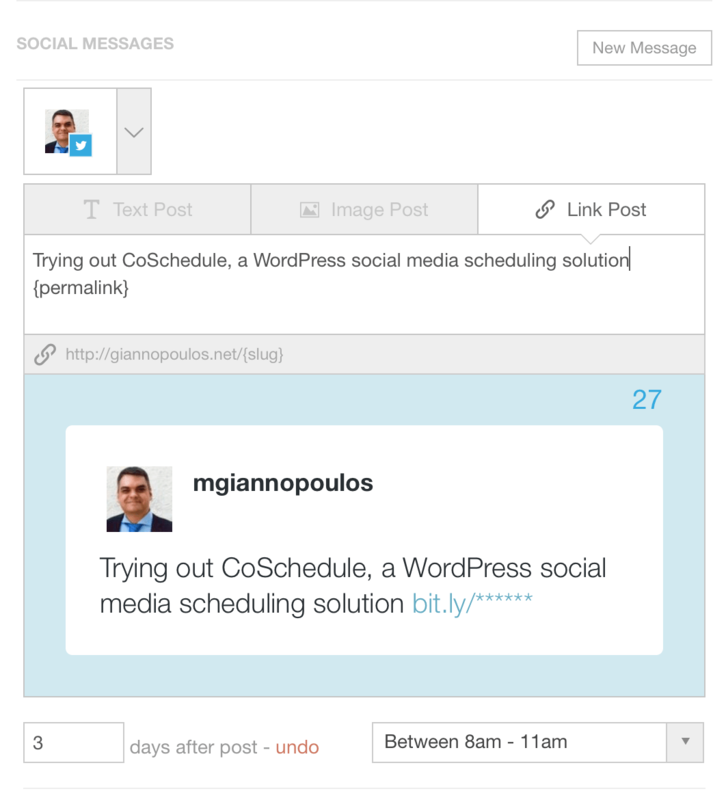 Plenty of platforms are supported (Twitter, Facebook, Tumblr, Google+ Pages, LinkedIn, etc) and you can schedule posts to social media independently and the times that you think are better for each network. Still, the killer feature for me is the ability to customise the social media posts according to special requirements of each network. For example you can have a short message on link post on Twitter and a longer-than-140-characters text on an image post for Facebook. And of course you can re-schedule additional social media posts after a few days. In addition to these features, you have multiple users contribute articles, you can assign tasks to them and send them comments, creating a collaborative environment. In the technical side, all links can be passed through Bit.ly for click tracking and you can also include Google Analytics variables in them. Update #1 (the morning after): So far it’s working nicely. This http://bit.ly/1mtVZmb is an example of an automated tweet (using the title of the post and a bit.ly tracking link), while this http://on.fb.me/1mtWexz is an example of a Facebook image post with a custom text, auto-posted at another time. I’m now looking forward to see how statistics (shares) are captured in the system. Update #4: A nice find, CoSchedule actually tracked down G+ (at least) shares for all my past articles, as shown below for a post from 2013! This entry was posted on Saturday, September 20th, 2014 at 12:00 am	and is filed under Social Media, WordPress.